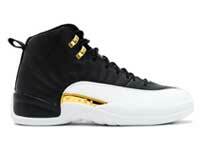 The information below contains the measurements (exact) of the Nike Air Jordan 12 sneaker. 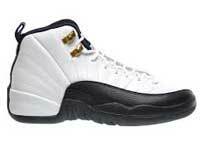 Since the 12s only comes in High, the best size to replace your current laces are the 56″ ropes. 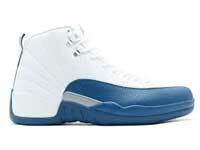 Jordan 12 Retro "French Blue"
Jordan 12 Retro "The Master"
We sell exact replica laces to the Nike Air Jordan XII (12s) shoelaces on our store and on our Amazon store. 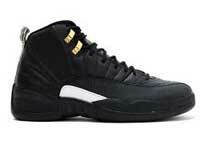 The laces we sell match the exact specifications of the Nike Air Jordan 12 model sneaker. The XIIs went down as one of the most popular releases in the history of the Jordan brand. The silhouette has a completely different feel and look than anything previously released in the line and (to this day) continue to be re-released in a slew of brand new colorways.